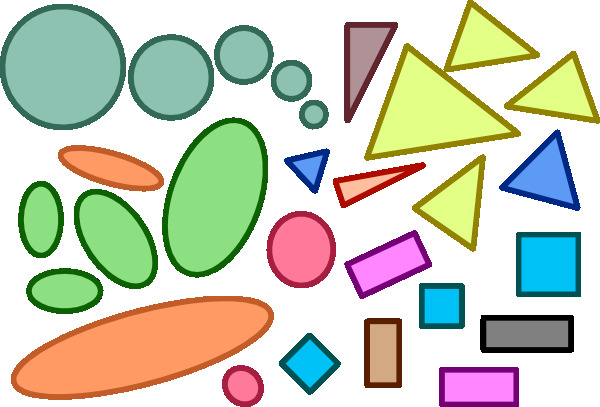 Area and perimeter - basic numerical characteristics of any geometric shapes. Finding these values is facilitated by the generally accepted formulas in which you can calculate through one another with little or no additional initial data. Prjamougolnosti: find the perimeter of a rectangle if you know that the area is equal to 18, and the length of a rectangle is 2 times the width.Solution: write the formula for area of a rectangle S = a*b. The statement b = 2*a, hence 18 = a*2*a, a = √9 = 3. It is obvious that b = 6. According to the formula the perimeter is equal to the sum of all the sides of the rectangle P = 2*a + 2*b = 2*3 + 2*6 = 6 + 12 = 18. In this problem the perimeter is matched by value with the area of the figure. Quadratscha: find the perimeter of a square if its area is 9.Solution: by formula the area of a square S = a^2, hence find the length of side a = 3. The perimeter is equal to the sum of the lengths of all sides hence P = 4*a = 4*3 = 12. Treugolnika: given an arbitrary triangle ABC, the square of which is equal to 14. Find the perimeter of a triangle, if drawn from the vertex B, the altitude divides the base of the triangle into segments of length 3 and 4, see the Solution: by formula the area of a triangle is half the work of the Foundation to the height, i.e., S = ½*AC*BE. The perimeter is equal to the sum of the lengths of all sides. The length of the side AC find the folding of the lengths AE and EC, AC = 3 + 4 = 7. Find the height of the triangle BE = S*2/AC = 14*2/7 = 4.Consider the right triangle ABE. 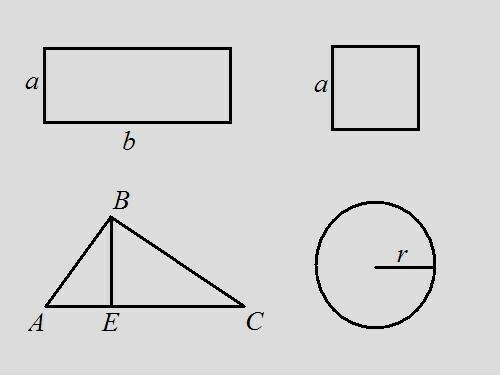 Knowing the legs AE and BE, we can find the hypotenuse by the formula of Pythagoras, AB^2 = AE^2 + BE^2, AB = √(3^2 + 4^2) = √25 = 5.Consider the right triangle BEC. By the formula of Pythagoras BC^2 = BE^2 + EC^2, BC = √(4^2 + 4^2) = 4*√2.Now known the lengths of all sides of the triangle. Find the perimeter of their sum P = AB + BC + AC = 5 + 4*√2 + 7 = 12 + 4*√2 = 4*(3+√2). Ukrainetoday: it is known that the area of the circle is 16*PI, find its perimeter.Solution: write the formula for area of a circle S = π*r^2. Find the radius of the circle r = √(S/π) = √16 = 4. According to the formula of the perimeter P = 2*π*r = 2*π*4 = 8*π. If we assume that π = 3.14, P = 8*3.14 = 25.12. Perimeter (gr. perímetron — circle from perimetréo — measure around) - length closed path. Most often this term applies to the triangle and polygons, and in this case refers to the sum of the lengths of all sides. The perimeter of the polygon is calculated by summing the lengths of all its sides. To calculate the perimeter of complex shapes, there are 2 methods: scientific method and applied. 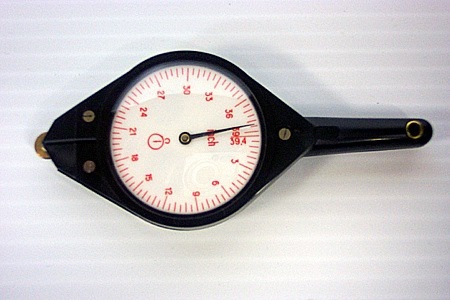 Application method is done using a special device odometer. It is based on a toothed roller, in this case we know what is the distance between its teeth. Accordingly, this device has the counter passed the teeth, and let us then, by multiplying the distance between the teeth on the passed their number to the perimeter. The scientific method is carried out using mathematical analysis, namely: integration of the equation of the curve that describes the boundary. Sooner or later there comes a time when you need to do repairs. They say that if you do repairs only in one room, then the number of carries dirt this process is similar to repair a flat. Therefore, it is better to venture on repair of all housing. But whatever you decided to do this, you initially have to calculate the room area and an estimate of the upcoming costs. To calculate the area of a room, armed with a long tape measure. Fortunately, measuring the area of most Russian apartments do not cause major difficulties, because they were built on standard projects and all kind of resemble each other. Using a ruler measure the length and width of the room. Record the result in a notebook. If your room lacks any protrusions or, on the contrary, holes in the walls, and shape of the room is a regular rectangle, to calculate area, multiply the resulting measurements to each other. This figure will be the total area of the room. However, if your room is located, for example, part of a closet or in a room with some pillars, then you have to exclude these dimensions from the obtained measurement results. For this additionally calculate the area of each protruding element of the room and subtract it from the total area of the room. Guided by the same principle, calculate the area of all room walls. To exclude the size of door openings and Windows, and also add an additional area of the walls arches such as under radiators. 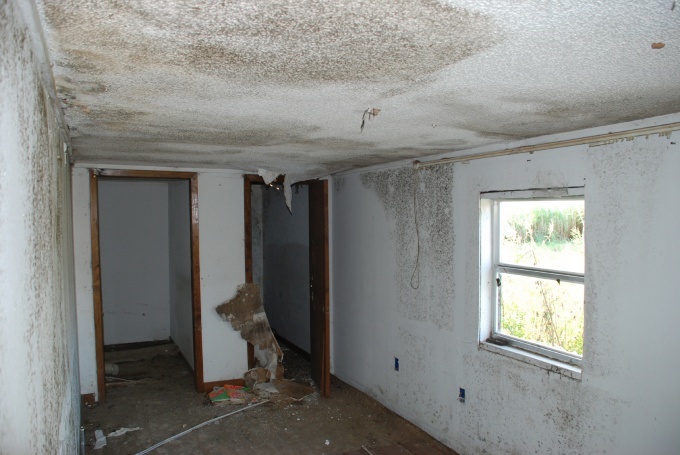 By doing thus, all the necessary measurements, you will get the exact area of the room, all its walls and floors and be able to calculate the amount of Wallpaper, linoleum or other materials you will need for repair. For the first time, getting to the repair work, people often ask yourself the question - where to start? The first thing you need to calculate the quantity of materials necessary, and for this to determine what the surface will be repaired. The most important thing is possible to accurately determine the area of the walls, especially if you are going to cover them with tile. Tools which are usually used by professional finishers do not always have at hand the dilettante. But the area of the walls can be measured using any means available. Put on the wall vertical and horizontal lines. Vertical line guide closer to the corner of the room. To verify the accuracy of the lines with a spirit level. The height of the walls in the room are usually the same, so start with her. Place the ladder closer to the corner of the room and attach zero roulette to the point of intersection of the vertical line of the ceiling. Roulette align with the line. Carefully go down from the ladder, holding the tape measure. View, a division of roulette was in the point of intersection of the vertical line with the floor or baseboard. Record the height. Measure the length of the room. It's best to do on a horizontal line, parallel to the floor or baseboard if it is smooth. Zero mark will align with the corner of the room, lay the tape measure along the line and note the division, which is aligned with the second corner. Similarly, measure and record the width. Find the perimeter of the room, arms folded along the length and width and multiplying the resulting sum by 2. Calculate the wall surface area by multiplying the perimeter of the room multiplied by the height. If you don't want to Wallpaper all the walls, find only the area needed. The length of wall and multiply by the height, and similarly guide calculation for all other walls. If the room has a niche, compute separately the area of the walls of the niche and the area of the other walls. 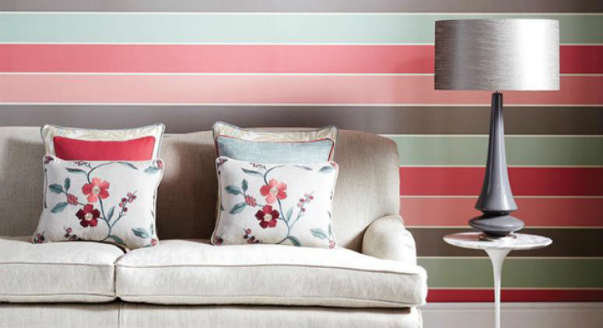 Decide whether to glue the Wallpaper to the ceiling or leave a free stripe on top. Determine what will be the width of this strip and subtract its square from the square walls. Before start measuring, please clean and align the wall. The height measure together. Combines single zero roulette with the point of intersection of the vertical line and the ceiling, the other looking mark at the intersection with the floor or the baseboard. If you do not have roulette, you can use a long cord. Tie a knot in it and align it with the point of intersection of angular lines and ceiling. Pull the cord and at the intersection of it with the floor tie the second knot. The distance between the knots can be measured with a regular ruler. It is often necessary to know exactly the area of the room. This may be required when repair to calculate the amount of paint or floor covering, when buying new furniture or remodeling apartments. In the accompanying documents to the apartment or house is usually stated a total useful area of housing, therefore the size of each room separately will have to calculate yourself. As you know from the school course of geometry to calculate the area of a rectangle, you multiply the length by the width. Accordingly, in order to find out the area of a room, multiply the length of its sides. First begin by measuring the sides of the room. Do it better by using construction tape, which has a sufficient length and keeps a smooth shape. The length and width of the room measure along the walls. This frees up space near the wall and put the tape measure along the floor. 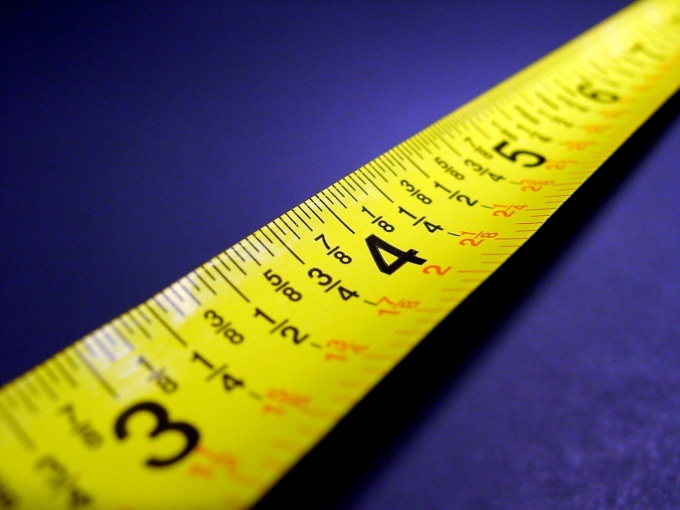 Important to make sure that the measuring tapes are not twisted and not stretched excessively. The obtained data it is better to write down on a piece of paper so you don't have to measure again. 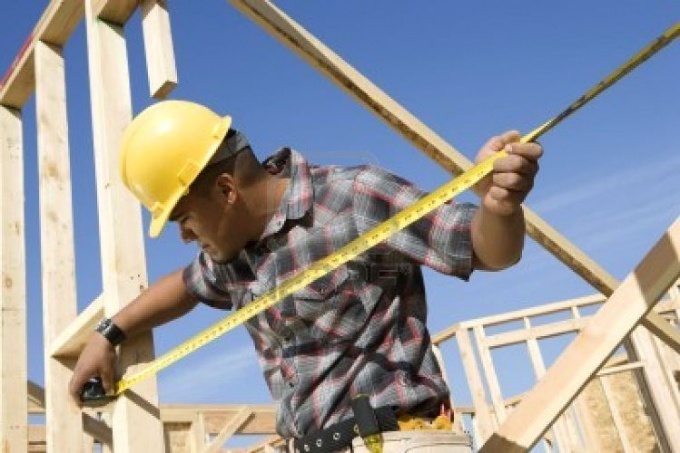 By measuring both sides of the room – length and width, and do the necessary calculations. For example, if the longest side is 5 m and 3 m, the area of the entire room will be 5x3 = 15 sq. m. it Should be note that if the lengths are always measured in meters, then the area of the surface of the floor or ceiling only in square meters. In the absence of in house construction and roulette you can use to measure ordinary tailor's meter. But it is important to remember that in this case the accuracy of the results obtained will be much higher, because the tape bends easily and folds. Moreover, it is much shorter, so the length will have to measure, consistently moving a centimeter at uniform intervals. Repair is a good thing. The results are pleasing: new floors, ceilings, Wallpaper... Only there is one little "but"... If you do it yourself, the repair becomes a torment: to choose the right color, choose the Wallpaper, purchase the desired amount of material. In order not to spend extra money on paint, Wallpaper, etc, you must be able to correctly calculate the area of the treated surface. Calculate area of walls in one room is very simple. The total area needs to be folded from square of all the (usually) four wallsOK, they're all the same, but some have Windows, doors and similar structures. S=S1+S2+S3+S4. To find the area of one of the walls, you should multiply the height of the walls of theing on its length. If it does not, it will be the first area S1. Similarly, the calculated area of the other three walls S2, S3, S4. And the area of those walls, where there is, for example, window, calculated as: measured width and length of the window are multiplied by each other, it turns out the square window, the size of a wall, s is subtracted the area of the window, this will be the area of the wallss, where encased window, door, etc. 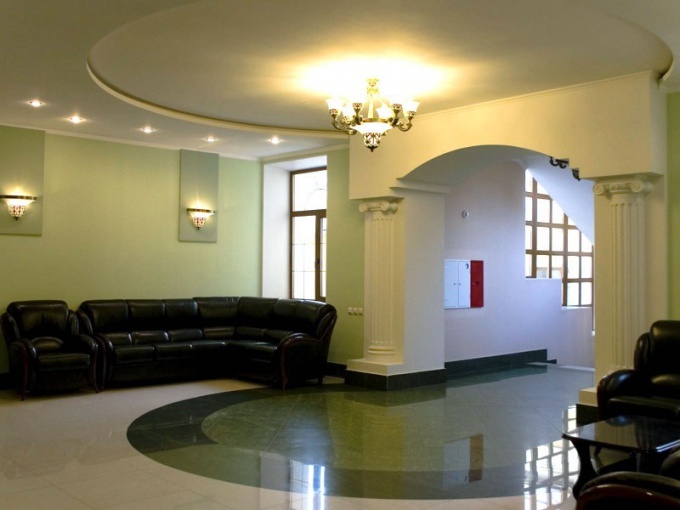 In the production of works on repair of premises is almost always required to know the area of each room. Such data are necessary for calculating needed materials and cost estimates of the repair costs. Typically, the measurement of the room is straightforward and requires simple improvised tools. 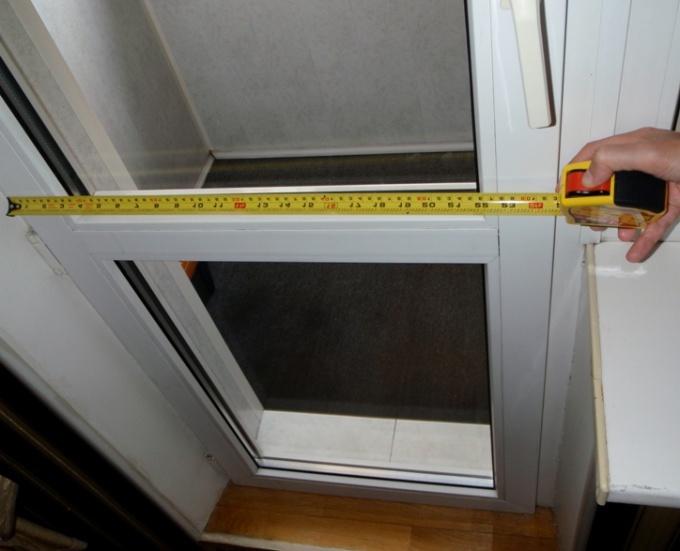 If the room has a regular rectangular shape, use an ordinary tape measure. Carefully measure the length and width of the room, put the results in meters, making a note in a notebook or on the Notepad. Then, using a calculator, multiply the length of the room on the width so you get the desired area of the room in meters. If the room is irregularly shaped, has ledges or niches in the walls that divide the space of the room into individual rectangles. Measure the dimensions of the resulting space, determining the length and width of rectangles. For greater precision, may cause a plan of the room on a sheet of paper, this does not have to be perfect to follow all the proportions. Apply a sketch the results of measurement. Then multiply the length and width of each of the individual rectangles and record their area. The final stage of the measurement consists in adding the areas of the resulting shapes. If the room is a decorative elements, such as columns, that also produce their measuring tape, calculate the occupied area, and then subtract from the total area of the room the result. The area of the walls also has to be measured for the calculation of purchased materials. When the area measurements of walls, use the same principles, multiplying the length of the wall multiplied by the height. Keep in mind that from the result subtract the areaoccupied by Windows and doors. If during the repair you plan to decorate the room with slabs of drywall, consider the calculations that could reduce the overall area of the room. The obtained results can be easily recorded in a specially made table, which should be completed for each room in the apartment. Having such a pivot table, you can very accurately calculate the number of finishing materials for walls and flooring. If you are going to sell the apartment, to make repairs in the room, change the interior and furniture, often have to answer the question: "What is the area of the room in the apartment?" And an approximate figure is irrelevant here. The sofa does not fit into the corner, the lack of linoleum or carpet that can permanently ruin the mood. There are errors in the documentation for the apartment. To trouble passed, get the definition of the area of the room alone. If the room is a classic rectangle, you only need a few minutes to calculate the area. 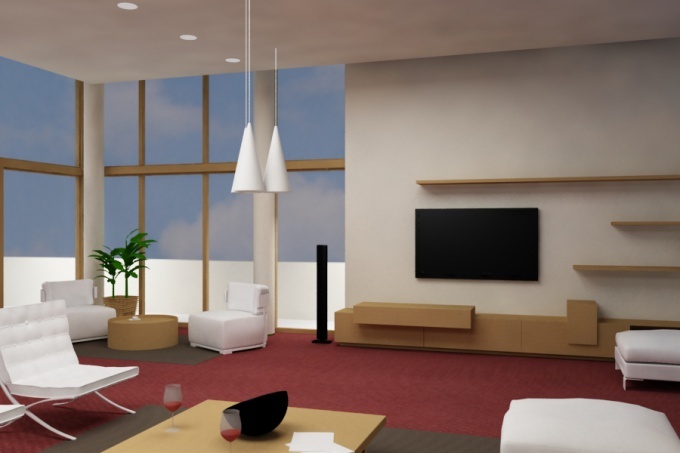 Measure the room's length and width of the room. Then, multiply the two numbers. For example, the length of the room was a 5.2 m and width 3.5 m. Then the area of the room is equal to 18.2 m.
If the room is not a square or rectangle, and has a more complex form, the calculation is simple. Divide the room into rectangular pieces (for example, a niche and the room itself). In a similar way calculate the area of each space and add two numbers. If the room area was 14 m, and niche – 4 m, the area of the entire room is 18 m.
In new buildings, there are rooms are very complicated and irregular shape. In this case it is better to use the services of specialists BTI. If you are determined to cope with the job yourself, try to divide the room into familiar shapes: triangles, squares, trapezoids. Use the online service for calculating area of complex shapes. Enter the numbers, get the result. If you started repairs in the apartment, the accuracy in the measurement area of the room will save you from pitfalls and save a lot of money. Often, people during any repair work, there are certain difficulties in the case, if you want to calculate the perimeter of the room. Believe me, this did not need to have a deep knowledge in the field of geometry and algebra, it is enough to remember the school course of mathematics. Remember that the perimeter is nothing but sum of the lengths of all sides of some geometric shapes. And wonderful when the room in which to perform the calculations , has the standard form, for example square or rectangle. In this case, it is sufficient to remember the school program. For example, if the room is square, calculate its perimeter , measure the length of one side and multiply the result by four. The final number will be the perimeter of your room. Find the lengths of two adjacent walls and the sum of these numbers and multiply by two if the room is rectangular. The result is the perimeter of this room. Measure all the straight lines and summarize the results obtained, if the room has some other arbitrary shape that is quite often found today. Sometimes it happens that the room is round in shape. If you are sure that the room is round, measure its diameter, i.e. 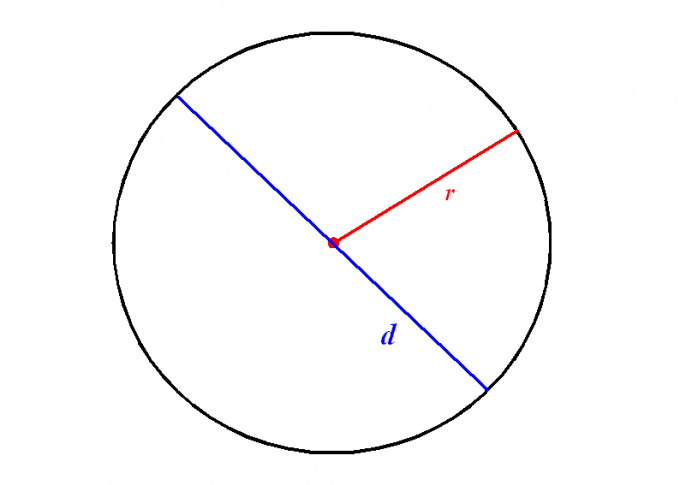 the distance from one point on a circle to another, passing through the center. And then use the formula in which the perimeter will be nothing less than the diameter of a circle multiplied by a constant value 3,14. All of the above ways are correct. But here's the problem – not always the premises comply with all technical requirements and standards, namely, it so happens that the length of one wall different from the length of the opposite wall. For such cases, Arsenal have a very simple and effective way of calculating the perimeter of the room. Take regular thread as long as possible, and lay it along the line of the perimeter. The place where she merges with the beginning of the reference must be noted. And then measure the resulting length. The result of this measurement will be the perimeter of your room. No online calculator is unable to calculate how much Wallpaper you will need for a room of irregular shape. He will not answer questions, glue for furniture, how much to subtract for doors and Windows, how much "throw" on the niche. All calculations will have to do yourself. The calculation should start with the perimeter. The scheme of calculation is simple: add up the lengths of adjacent walls and multiply by 2. Example: if one wall is 3 meters and the other 4, then the perimeter is 14 meters. You need to consider amendments in niches and ledges. If they are in the apartment, and the perimeter of the think differently. The perimeter is the sum of the lengths of each wall, measured along the floor. Windows and doors are better not to subtract. Experts recommend that you do, despite the fact that the pasted over surface data elements are not included. Traditionally, the area of door and window openings left in reserve. Do I need to glue the Wallpaper behind the furniture? If the furniture you have no plans to rearrange, then glue the Wallpaper over it's not necessary. If the wall is fully covered by a wardrobe or a rack, the perimeter to include it is not necessary. For Wallpaper with a pattern, it is important to take into account the rapport. Rapport is called the pitch of the repeating pattern on the Wallpaper. The size of the repeat is indicated on the packaging. To the height of each leaf is added this value. Otherwise, the matching pattern between the two blades will not work. To determine the height of the canvas, you need to know the height of the room. To height added rapport and if necessary, the step offset. Plus 8 - 10 cm for trimming the top and bottom of the canvas. In order to determine the desired number of blades, you need to know the width of the roll. It is always indicated on the package. Usually the standard width, 53 cm Perimeter of the room and divide by the width of the roll, the result of rounding in a big way. Example: the perimeter of our room is 14 m, divide it by 53cm to round 27 and get the paintings. How many paintings per roll we will determine if we divide the length of the roll to the height of the canvas. In this case, the figure is rounded down. How many rolls needed for a room, we'll know if you need the room number of rolls divide by the number of blades in the rolls. To the result add the stock, 1 roll. Leave the coil on the stock you need in the event of marriage. Because there is always the risk to damage 1 - 2 canvases when gluing. As the spare roll is required for emergency repairs in the future, in order to seal othersise or soiled area.